As we end of the school year here at Beit Issie Shapiro, we also say goodbye to some of our kids who are moving on to the next stage of their journey. Avital is one of these dear children and the sentiments expressed by her father in this post below just left us speechless. We are so proud to be part of all of our children’s lives and their families’. We really are all one big Beit Issie Shapiro family! We wish them all much happiness over the short holiday break and continued success in all their future adventures and challenges. – Thank you for teaching Avital to crawl and sit. – Thank you for supporting Avital through her moments of crisis be it the cleaner that looked like a doctor or preparing her for her surgery. – Thank you for supporting us as parents through the difficult decisions and bureaucracy that we had to go through. 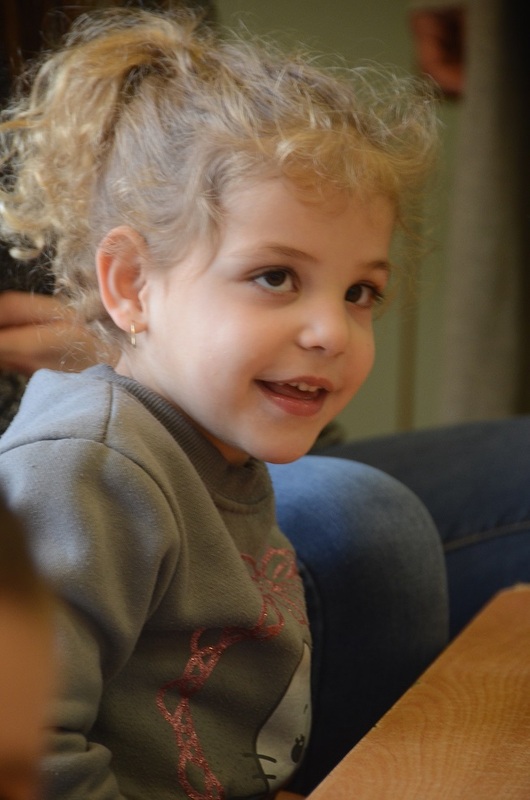 – Thank you to all of the amazing people who have been a part of our lives and extended family over the last 4 years, each one made an impact on Avital’s life and on ours from Edna, the social workers Orit & Liat, the ganenot Mayaan, Shlomit, Shiriניצן גננת, Rotem, from the sayaot/Bnot sherut Malka, Moran Negari, Batzi Konigsberg and Adva Recanati , to the Physiotherapists, Speech therapists, Occupational therapists, Psycho thearpists, and Hydro therapists Hagar and Moran Maor , the volunteers and Pini the shomer who welcomed Avital each morning who invested night and day to make sure that Avital made progress into becoming more independent and have brought her to the point that she will go to a regular gan next year. – Thank you to Naomi Stuchiner, Jean Judes, Lili and Irit Turel who without their assistance and advise I don’t want to think where we would be. This is like parents who have brought up their children and at the age of 18 send them off to the army (but are always there to come to for advise), this is the same for us, we are leaving a home where Avital grew up and moving to the next stage, but I know that Beit Issie Shapiro will be a home that will always be there for us.